Thanks to her performance in her new film 'Lady Bird', we will see a lot of Saoirse Ronan this awards season. The actress attended the 29th Annual Palm Springs International Film Festival Film Awards Gala at the Palm Springs Convention Center yesterday evening(January 2nd) in Palm Springs, CA. 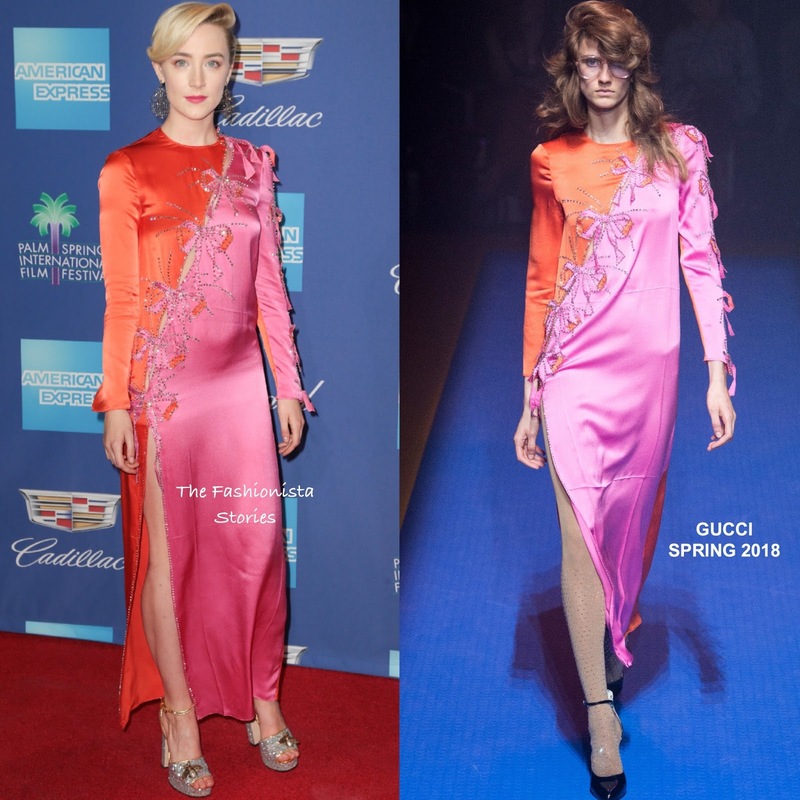 She walked away a winner wearing head to toe GUCCI which featured a SPRING 2018 long sleeve orange & pink bow embellished ankle length dress with a side front split and shimmery silver platform sandals. The dress doesn't photograph well, especially in the mid-section and I think a simpler, ankle strap sandal would have been ideal here. However I love her hair & make-up and the earrings. What do you think of Saoirse's look?